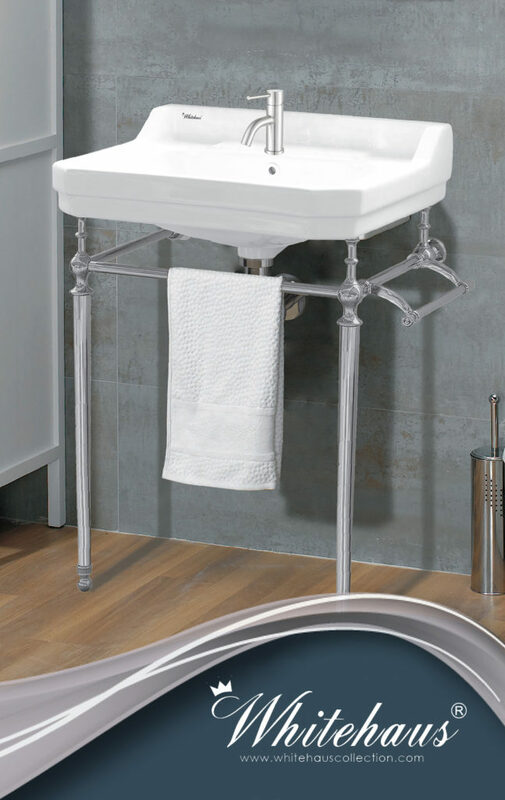 The elegance of Whitehaus Collection®’s Victoriahaus bath console resides on its beautifully detailed leg supports and towel bar. English-style design has an integrated rectangular bowl, backsplash, dual soap ledges and also a decorative trim. 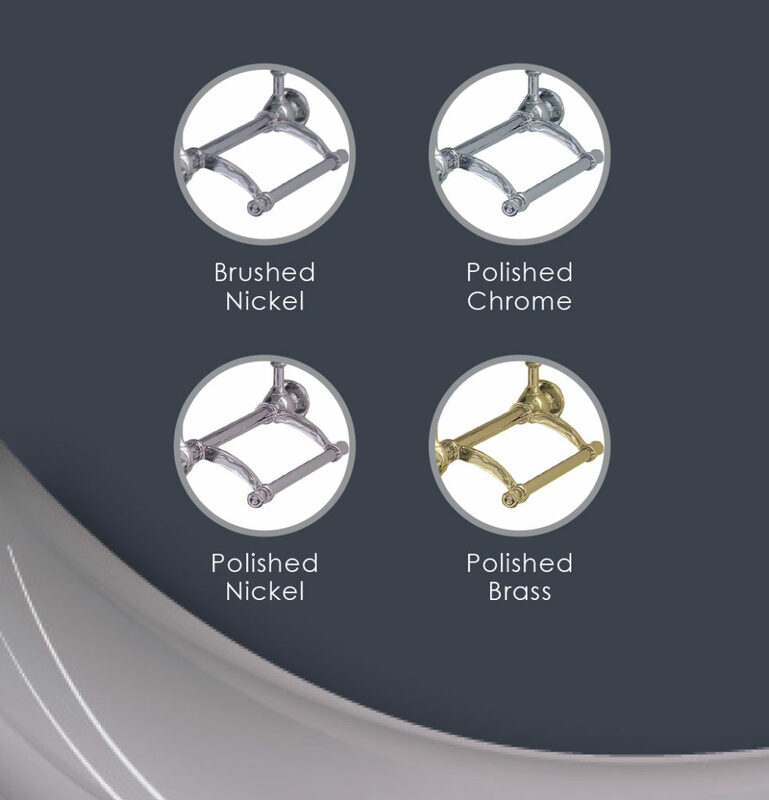 towel bar (can be installed on either side) are offered in four finishes: Polished Chrome, Brushed Nickel, Polished Nickel or Polished Brass. WHV024-L33 Victoriahaus wall-mounted console sink. 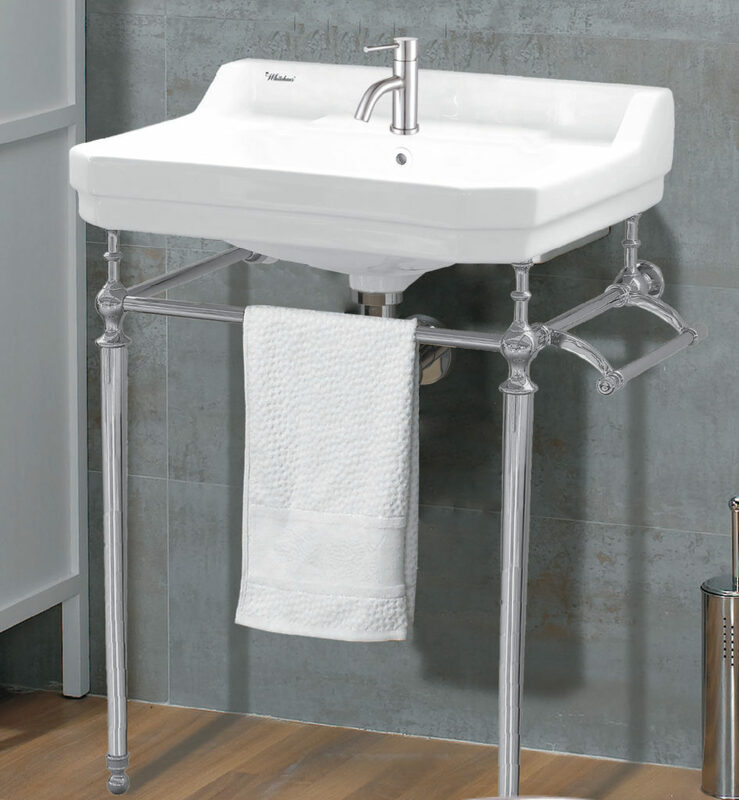 Shown with Polished Stainless Steel leg supports as well as a towel bar. WHS0111-SB Waterhaus solid stainless steel, single hole, single lever faucet also with matching solid stainless steel pop-up drain. Shown in Polished Stainless Steel.